Can be done in 7 meetings, a weekend or one day. With the Action Adventure Badge in a Bag® from MakingFriends®.com your girls can complete their Junior aMuse JOURNEY* for less than $2.00 per girl per meeting! Price above includes $25.00 for 1 Troop Kit. Looking for bags for additional girls? Click here. 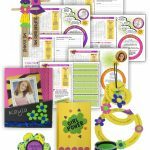 With the Girl Power Adventure Badge in a Bag® from MakingFriends®.com your girls can complete their Junior Agent of Change JOURNEY* for less than $2.00 per girl per meeting! Price above includes $24.99 for 1 Troop Box. 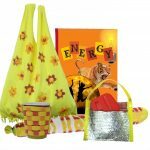 With the Energy Adventure Badge in a Bag® from MakingFriends®.com your girls can complete their Junior GET MOVING! JOURNEY* for less than $2.00 per girl per meeting! Action Adventure New Girl Bag Updated! Note: Your previously purchased Action Adventure Badge in a Bag® troop box from MakingFriends®.com has supplies for up to 12 girls total. 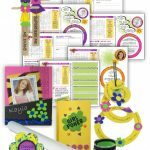 Note: Your previously purchased Girl Power Adventure Badge in a Bag® troop box from MakingFriends®.com has supplies for up to 12 girls total. 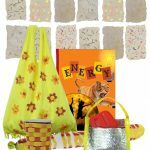 Note: Your previously purchased Energy Adventure Badge in a Bag® troop box from MakingFriends®.com has supplies for up to 12 girls total.